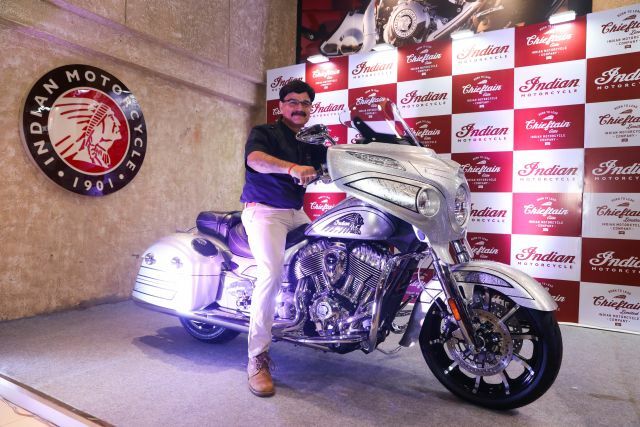 Indian, the American motorcycle builders, have created a 350-unit run of the ultra-exclusive Chieftain Elite, painstakingly hand-finished with high-flake Black Hills Silver paint, and with a price tag of Rs 38 lakh (ex-showroom). The shade of paint is, as the name suggests, inspired by the silver mines in the Black Hills of South Dakota, which is near Indian’s own custom paint facility. Here experts mask the bodywork, lay the graphics, and hand-spray each Chieftain Elite, taking up to 25 man-hours to complete each motorcycle. As an added benefit, this level of human touch in the finishing process means that no two bikes will be exactly alike; buyers of each of the 350 units will have a one-of-a-kind machine. This limited-edition bagger is equipped with Indian’s seven-inch display featuring the company’s proprietary Ride Command System, which features Bluetooth connectivity, navigation, vehicle status information and split-screen technology to allow the rider to customize the amount of information on the screen.